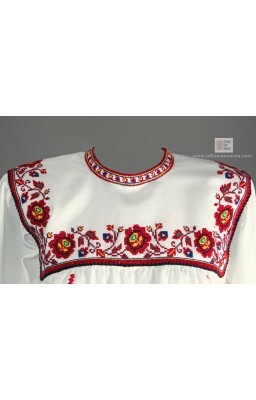 Buy traditional Romanian folk costume from Oas area of Romania. 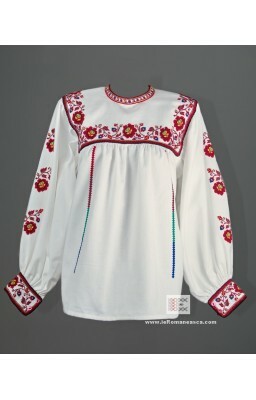 Romanian blouse - hand embroidered - S/M size. Length of the skirti: 79 cm. 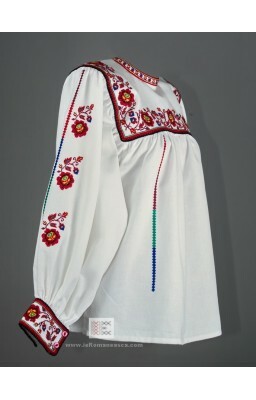 Worldwide delivery for Romanian folk costumes and traditional Romanian peasant blouses! 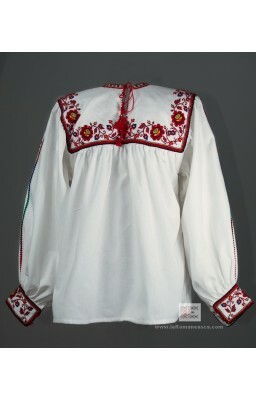 Traditional Romanian costume care: Hand wash at max. 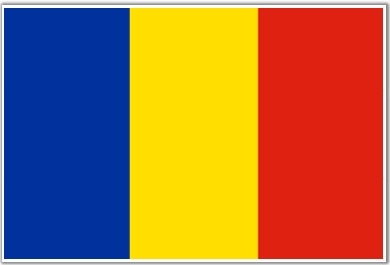 30'C. Ironing.